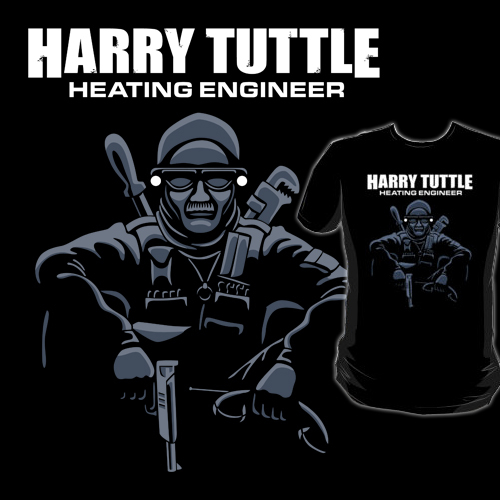 Harry Tuttle is a freelance heating engineer. He doesn’t work with Central Services. In fact there are plenty of people who would like to get their hands on him, including Information Retrieval. You can’t be too careful out there, especially if you don’t have a form 27B/6. This design is a tribute to Robert de Niro's character in Terry Gilliam's science fiction classic, Brazil. Also available on iPhone cases and stickers from RedBubble.